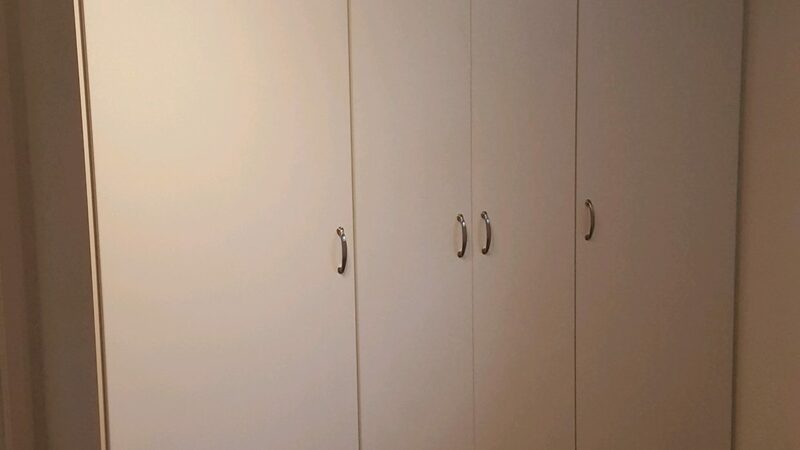 White Storage Cabinets with contemporary 2mm Doors. Chrome paddle style handles. 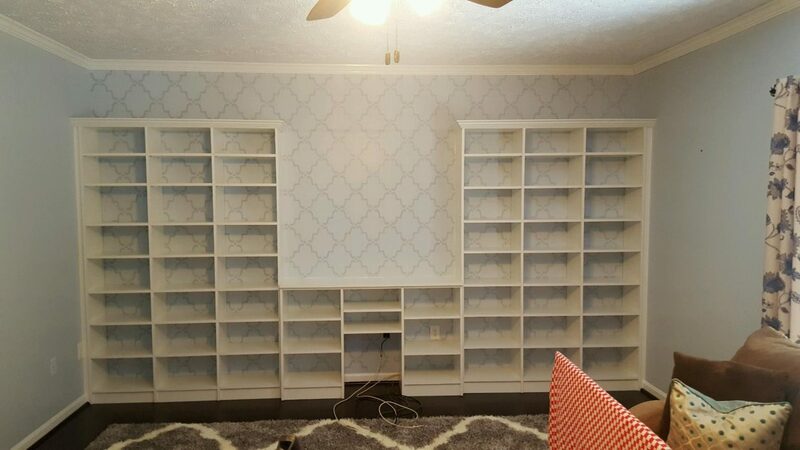 Bookshelf Wall Unit. White with crown moulding and space left for TV in the middle. Shelving adjustable to maximise space for books. Nursery Reach-In closet. Showing Kiddie height double hang and Triple Hanging for those newborn outfits! White with Chrome. 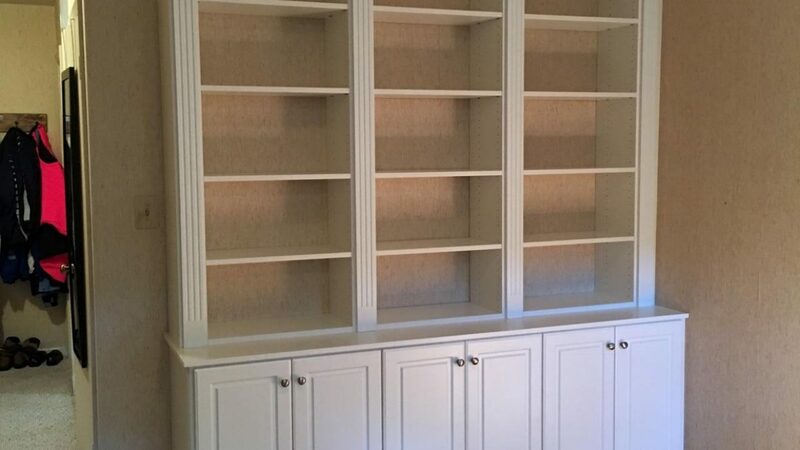 Summerflame color dining room wall unit. Custom Lighting, glass doors, and custom counter. Decorative end panels. 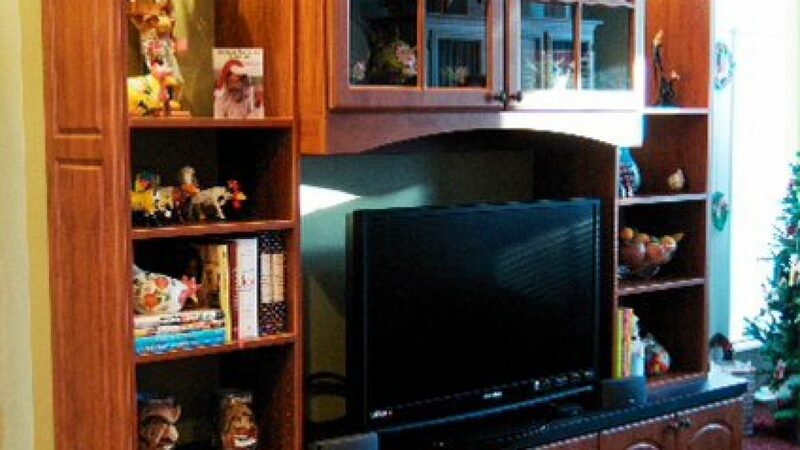 Living Room Wall Unit. 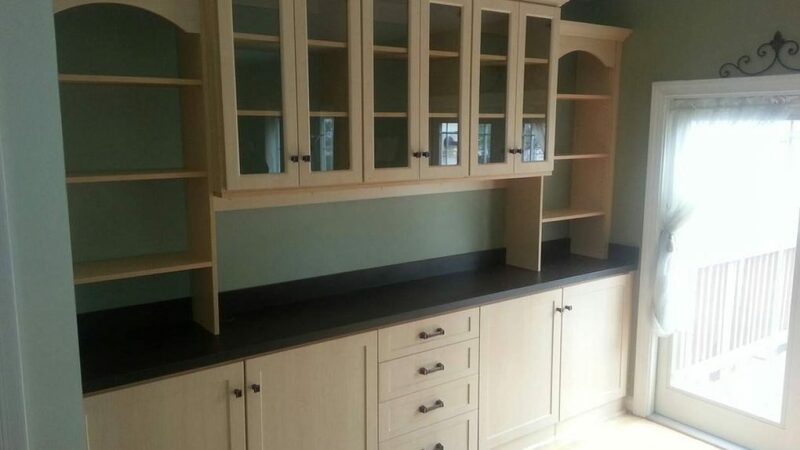 Candle color with Shaker style drawers and doors. Arched Valances and Glass Framed Doors. 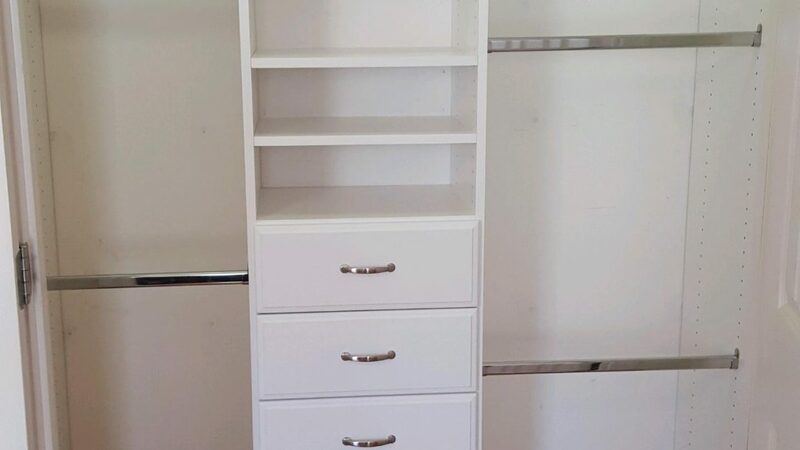 White Hutch drawer unit with bench under window. 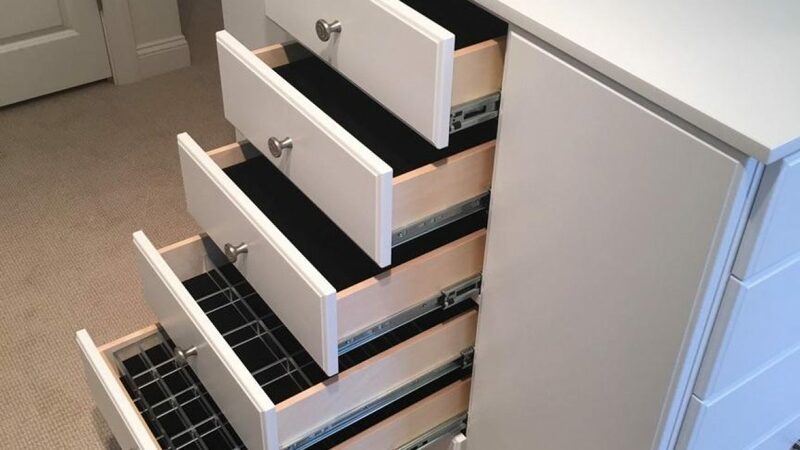 Modern bar handles with moulded drawer fronts. 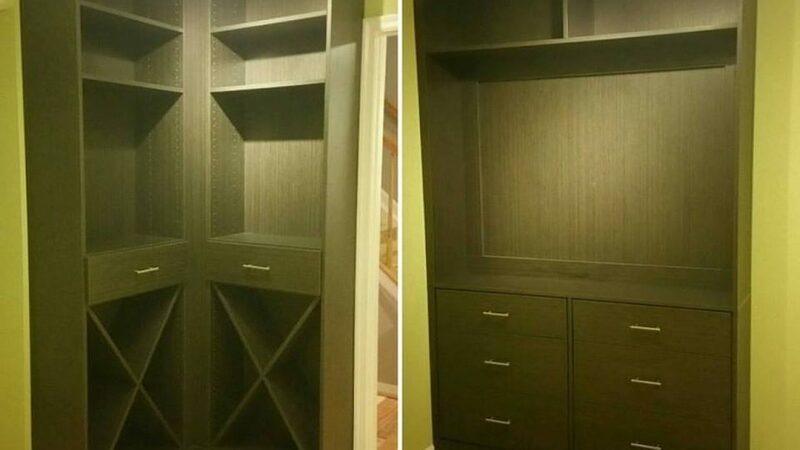 Asian Night Color custom storage units. Wine, glassware, etc all have a home with these two stunning units. Backing used. 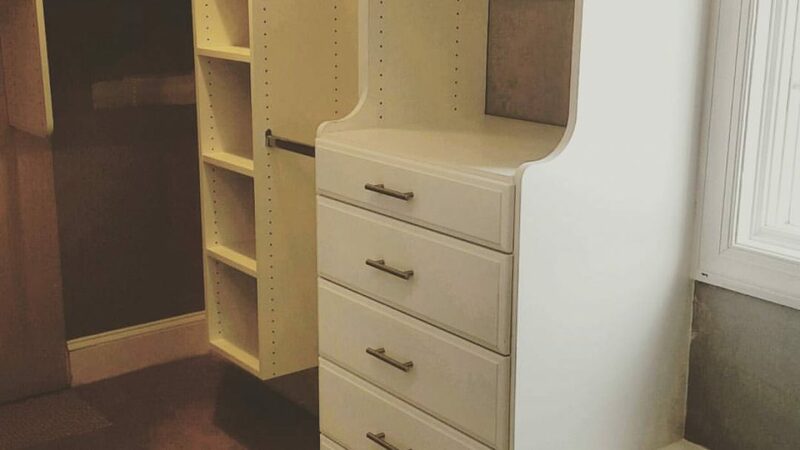 Murphy Bed unit in Candle Color. Queen size bed with storage on both sides. 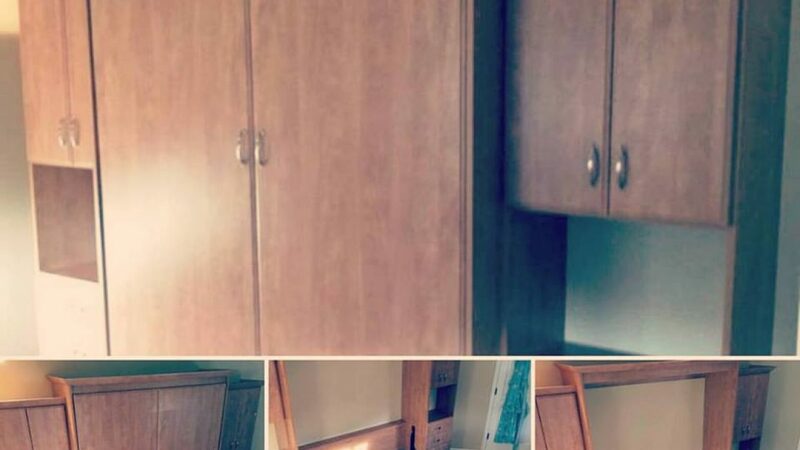 Mudroom for 5! 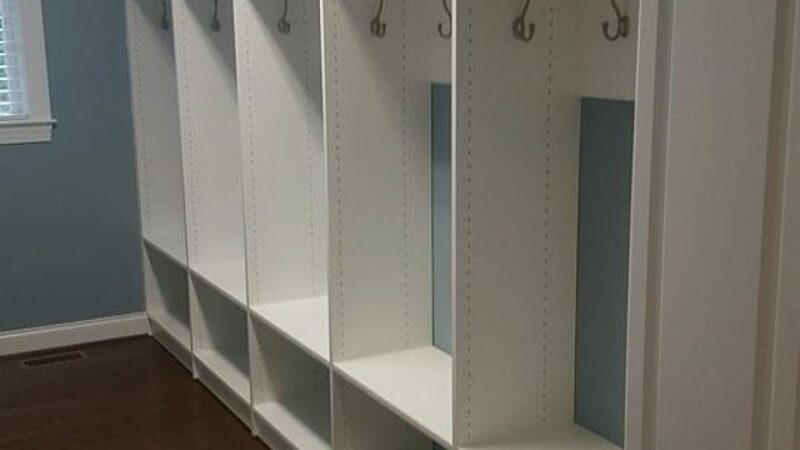 Raised Panel doors, custom hooks and shelving. 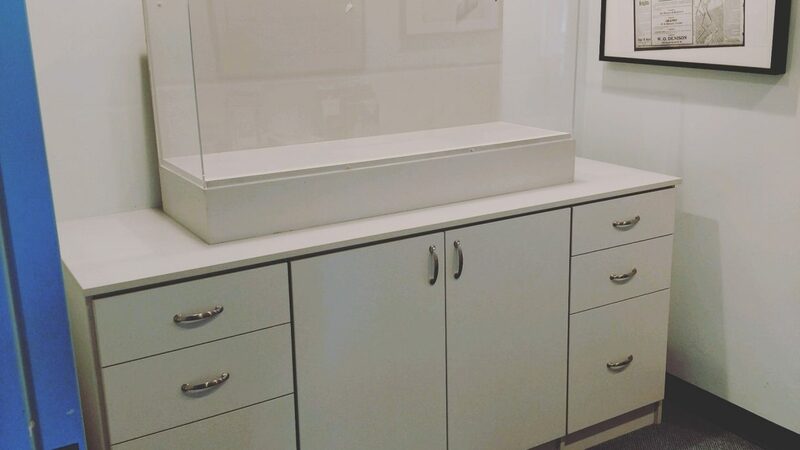 Museum Base Cabinet. Custom Furnished to accommodate exhibit and space. White contemporary 2mm Doors and Drawers.